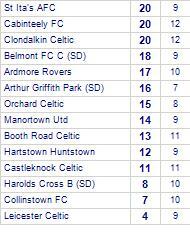 Leicester Celtic beat Terenure Rangers. 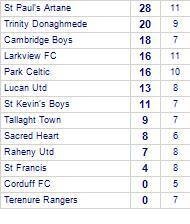 Terenure Rangers have yet to win away from home. 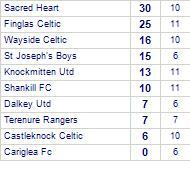 Esker Celtic sd share honours with Templeogue Utd (SD). 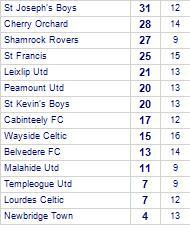 Templeogue Utd (SD) has yet to win in this competition. 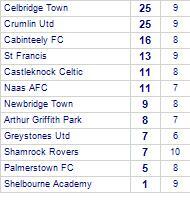 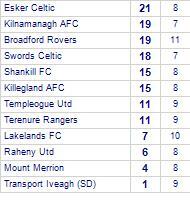 St Francis take all points from Belvedere FC. 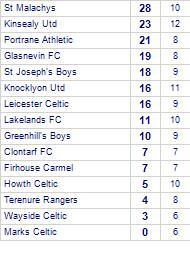 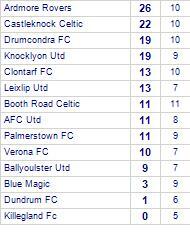 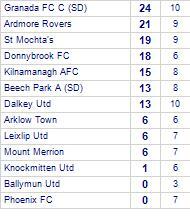 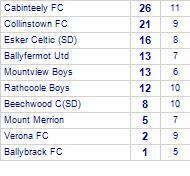 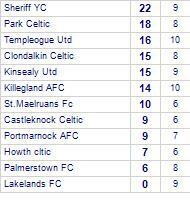 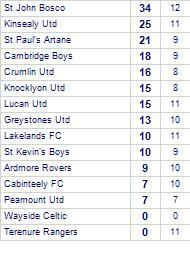 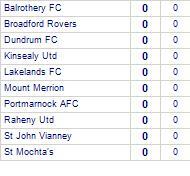 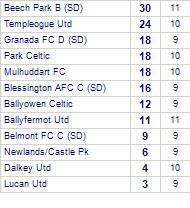 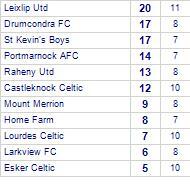 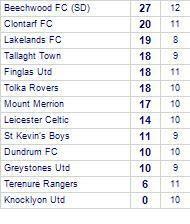 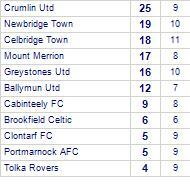 Belvedere FC have yet to win away from home. 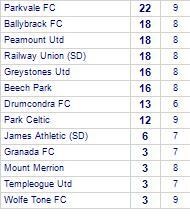 Drumcondra FC beat Park Celtic. 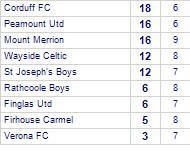 Wayside Celtic take all points from Verona FC. 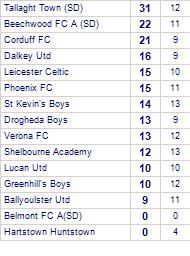 Verona FC are currently on a losing streak of 4 games.They have yet to win away from home.